Firestone Walker is a brewery that I’m fond of and yet I don’t purchase their stuff that often. It’s mostly due to the fact that I’ve had all their standard beers so many times that when I go to a bar or to the store I’m looking to try something new. Thankfully, as of late they’ve been releasing more seasonal and one-off beers to keep beer lovers like myself happy. 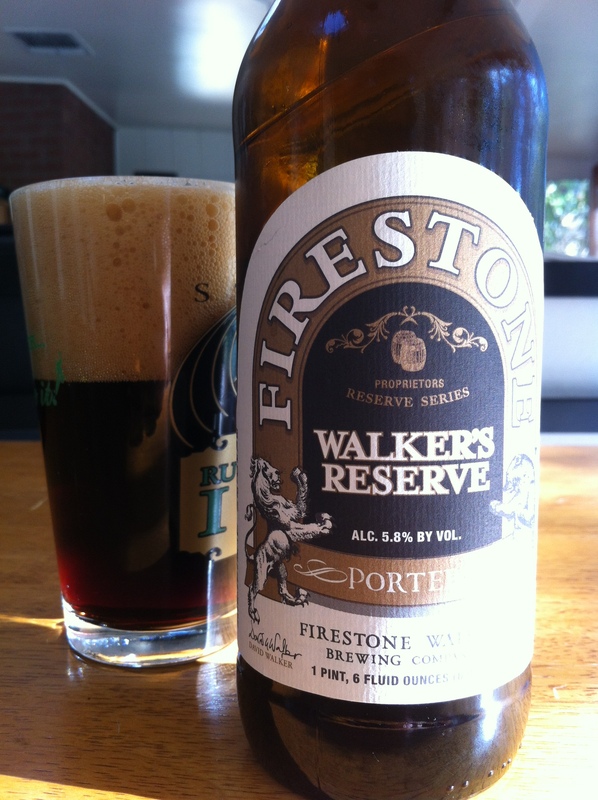 Walker’s Reserve Porter pours a darkish brown color with glints of auburn appearing in the light. Three inches of foamy cola float atop it, while lacing splashes its way around the edges of the glass. The nose on this beer is rather complex and quite odd. It begins with a musty cigar ash-like scent. Baker’s chocolate and a sea foam saltiness come next, followed by malted milk and caramel corn. These sweet flavors at the end do a good job of balancing out the smell. Sour dough starts off the flavor profile in the taste. Next some oats and oak pop in to give it a big woody middle. Cigar ash and sea foam make another entrance here, but it doesn’t last long before the beer finishes with a flavor akin to a chocolate malted. Mouthfeel is just slightly under medium and slightly creamy. Mild drying occurs, which leaves some lacing along my gums. 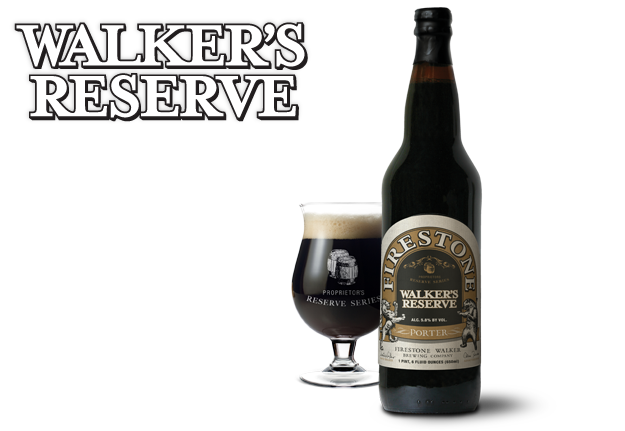 Walker’s Reserve Porter is nowhere near a bad beer, but there’s nothing in the flavor that would necessarily make me buy it again. The flavors are relatively muted and without any major chutzpah. A decent porter, but not that majestic beer that I was prepared for.